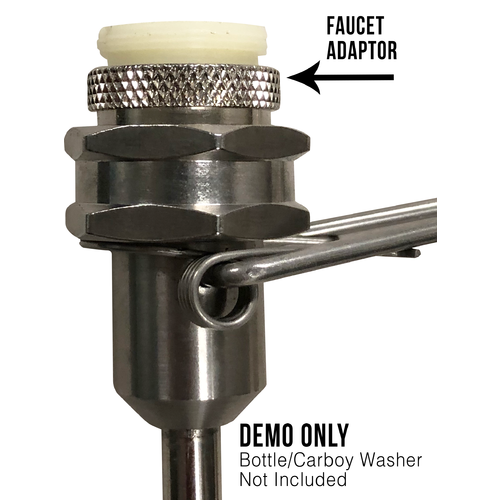 Allows you to hook up the Bottle & Carboy washer (CE10) to most kitchen sink faucets. Converts female or male fine-thread to male hose-thread. 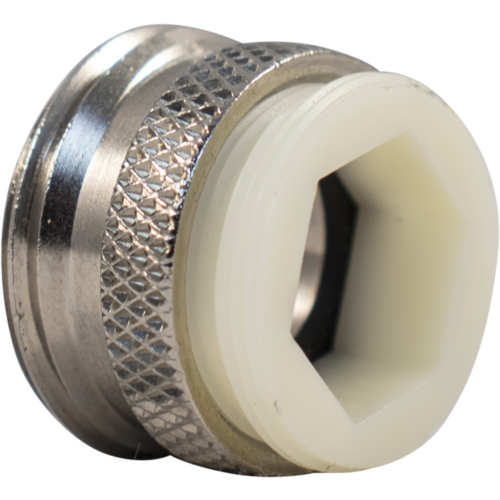 You simply unscrew the screen assembly at the end of your faucet and screw this adapter in its place. 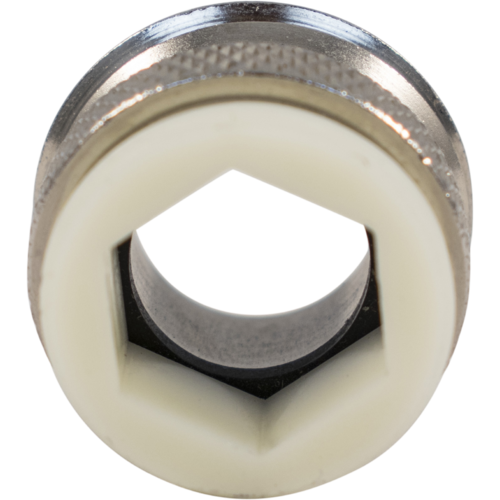 Plastic end attaches to your faucet. 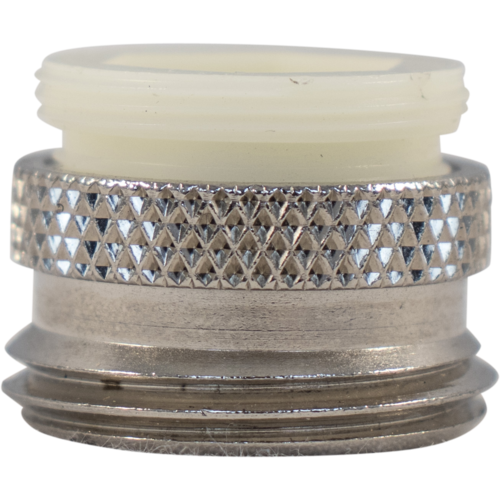 Chrome end attached to your Bottle & Carboy washer. To connect an immersion cooler.